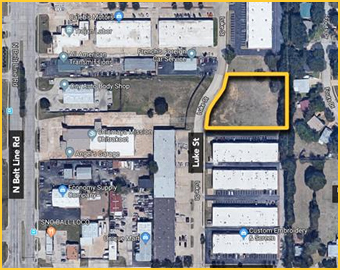 1.17+/-ac commercial lot located near the intersection of Belt Line and Conflans road and 3 miles from DFW International Airport. TX Daniel Scott Nelson Re Lic 618260. 5% Buyer's Premium.